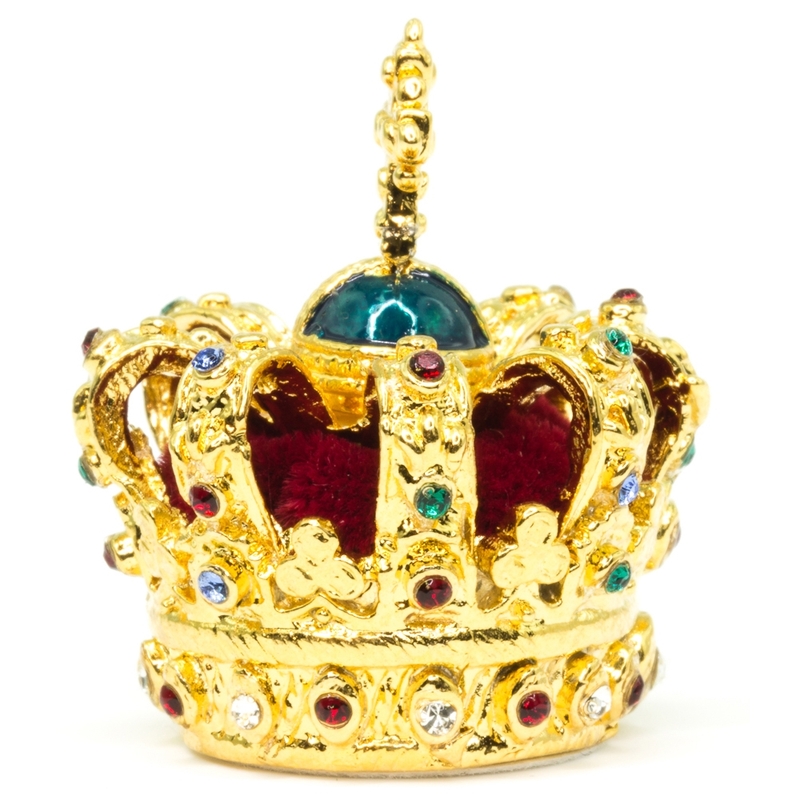 The original: In 1803 Napoleon conferred the title of ‘Prince Elector’ on the Margrave of Baden, who three years later declared himself to be a sovereign Prince, with the title - Grand Duke. Charles Frederick, the first holder of the title died in 1811 and was succeeded by his grandson - Charles, who married Stephanie de Beauharnais - the adopted daughter of the French Emperor Napoleon. 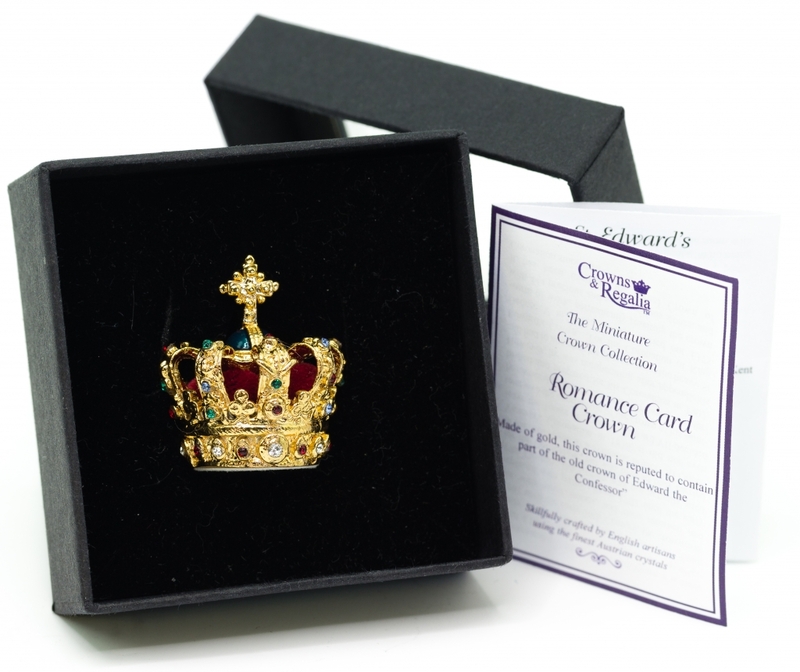 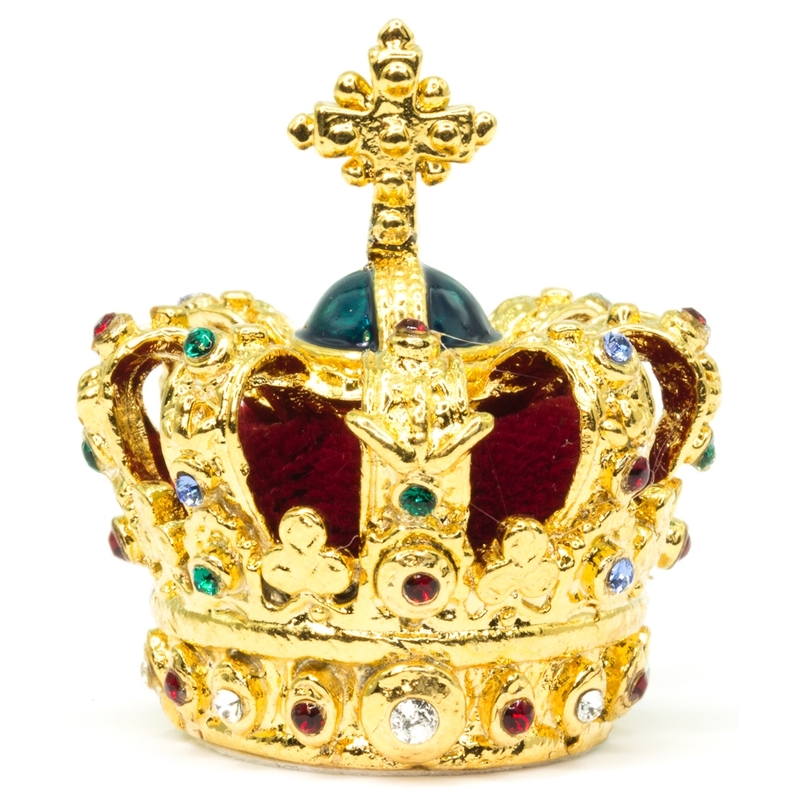 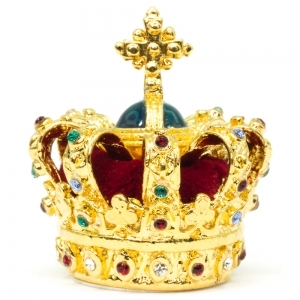 Charles received from his father-in-law a set of crown jewels including this crown, which is made of gold fabric, stitched with precious and semi-precious stones. Base metal: Lead free Pewter gold toned, velvet hat, Swarovski ELEMENTS. This product comes with a Gift box and romance story card.